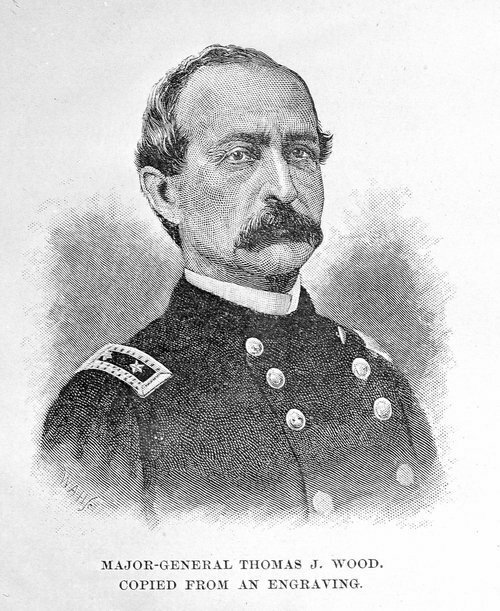 Portrait of Captain Thomas John Wood, U.S. Army, First Cavalry station at Fort Scott in 1858. Wood and a deputy U.S. Marshall arrested members of Colonel Harvey's free-state party after the Battle of Hickory Point. The captives were taken to Lecompton where they were imprisoned and charged with murder. About twenty of Harvey's soldiers were tried, convicted, and sentenced.